Step right up, step right up! We are the one stop shop for all your entertainment & circus needs. Face Painting, Glitter Tattoos, Balloon Twisting, Giant Bubbles, Crafting Workshops, Circus Workshops, Games & Music Fun, Stilt Walking, Roving Characters, Fire Shows, Led & Circus Shows, School Circus Programs. Spectacular Entertainment Suitable for every event! We have now opened our BIG TOP Coffee shop, Circus Equipment Shop & Workshop Space located at 6 Charles Street Stuart Park. 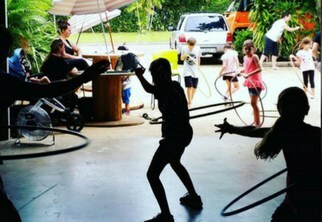 We offer 6 week programs and causal circus workshops for kids and adults. We accept the School sports vouchers. Pop in for a coffee and let the kids enjoy a session! 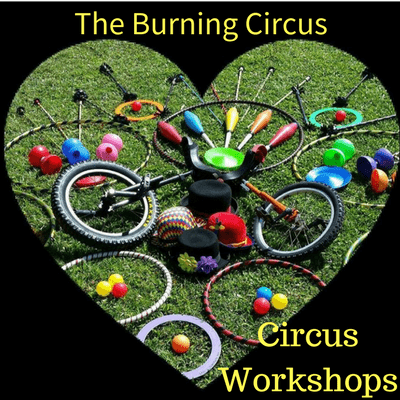 'The Burning Circus specialise in putting the 'wow' factor into everything they do!" Catering to any event just ask ?